Sitting back, reading what I had written, I wanted to cry at the thought of not allowing myself to feel joy. In order to not start bawling in front of a plane full of strangers, I pushed the tears down – but not the revelation. The revelation I kept at the front of my mind, because I knew I wanted to come back to it later. 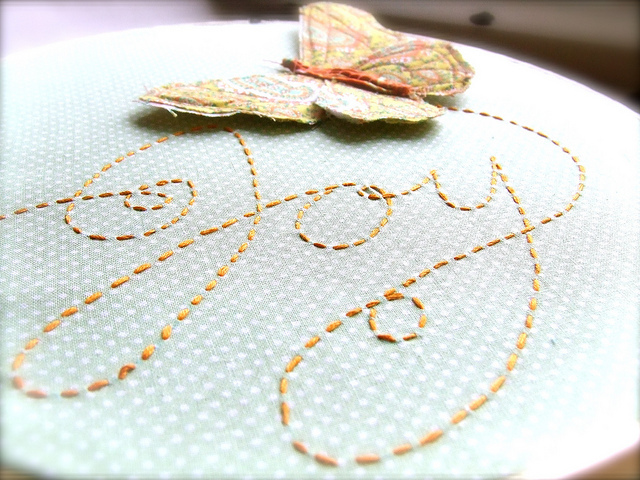 And when I started thinking about a new vision for my blog, I knew I had to take a serious look at joy. In order to navigate the creative process, one has to become a master at dealing with emotions, especially pain. Understanding – even spending some time with – pain can help us avoid feeling paralyzed every time it enters our lives. But, we run the risk of being derailed and overwhelmed if we sink into the pain with no exit strategy. Our exit strategy is joy. As creatives, we must allow ourselves to feel joy and cultivate it relentlessly. It’s a matter of survival. Joy keeps us on the path and reminds us that the act of creation is a gift: One that we should joyfully participate in. Come back to the blog every Friday this month, and let’s take some time to talk about joy – what it means to us and how we can make it a staple in our creative lives. P.S. If you don’t want to miss a post, sign up to receive updates direct to your inbox!